What makes employees happy? Employees who are more engaged, loyal and creative say they feel appreciated for the work they do, they have pride in their organisation and believe they are treated fairly. According to a recent study (1) commissioned by recruitment specialists Robert Half, simply appreciating an employee’s work can make a difference. When planning for end of year gifts, bonuses and commissions for staff to show your appreciation, the ideal reward is a prepaid gift card. Rated the most preferred reward by employees, a gift card provides an opportunity for staff to buy their own gift of something they value. A branded and personalised gift card from Corporate Prepaid Cards is a reminder that it is a gift from your company each time it is used. 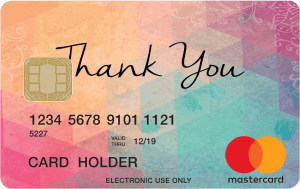 Staff feel valued as individuals when they are rewarded with a prepaid gift card from their employer. Happiness expert and founder of London-based company Happiness Works, Nic Marks says happiness is the ‘quality of experiences in our everyday work—essentially, whether we are feeling good and doing well’. Contentment helps employees reflect on their successes and repeat what went well. Employees are happier in a positive working environment. It may seem trivial but offering a sincere thank you for a job well done has much greater motivational impact than many people realise. Staff like to be recognised for their hard work and dedication. Assuming they are happy if there are no problems, can be discouraging. And it’s not just the new recruits who benefit from being recognised and praised for their efforts. Long-term employees also like to hear constructive feedback, not only when issues arise. An end of year gift will be appreciated before staff go on annual leave or just have time off over the Christmas break. A prepaid gift card is proven to be a powerful motivator for loyal employees who are essential for a company’s success. No one enjoys an unwanted gift, and the versatility of gift cards is what makes them popular and always valued as they empower staff. The 2017 Corporate Gift IQ Survey by Incentive Magazine shows gift cards are regarded as the ‘best gift’ by recipients and have become the most frequently used corporate gift, included in up to 60 per cent of programs. Research shows that recipients rate gift cards as the most popular of all gifts, the gift that is always appreciated! Now is the time to plan for company end of year events and budget for a bonus or gift for staff as well as gifts for clients before the holiday break. Choosing prepaid gift cards for staff and clients saves both time and money. Your staff will feel appreciated and have a tangible incentive to meet budget goals when they know they will be rewarded with a prepaid gift card. When a personalised gift card is used, it is recognised as an ongoing gift as it may be used numerous times until the balance is used up. You will be top of mind every time your staff or clients use your branded gift card. Order your corporate gift cards now to ensure you have your brand name and personalisation on the cards. With Corporate Prepaid Gift Cards you can fully customise the design artwork with your company’s logo to make it your own unique gift to your staff and clients. 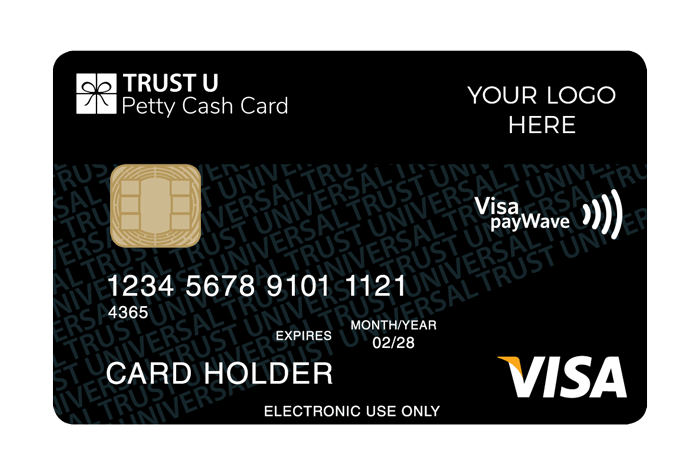 Corporate Prepaid Cards offer a range of popular Christmas and holiday designs ready to be featured on generic Mastercard, Visa or eftpos cards to suit all businesses. View the range of seasonal cards on the website www.corporateprepaidgiftcards.com.au/christmas-gift-cards/. Once your design is finalised, you can order your company branded gift cards with up to 200 cards, and have them as quick as 10 business days. Cards can be sent in Christmas designed gift card wallets with all the instructions on how to use the card. The Secrets of the Happiest Companies and Employees commissioned by Robert Half, 2017. The report is available free at roberthalf.com.au. Data referenced throughout the report is based on the results of an online survey of more than 2,000 workers in Australia conducted in the third quarter of 2016 by an independent research company. Respondents were asked 30 questions about how happy they feel at work and what they attribute those feelings to.